Preheat the oven to 180°C and Line a baking sheet on a stray. 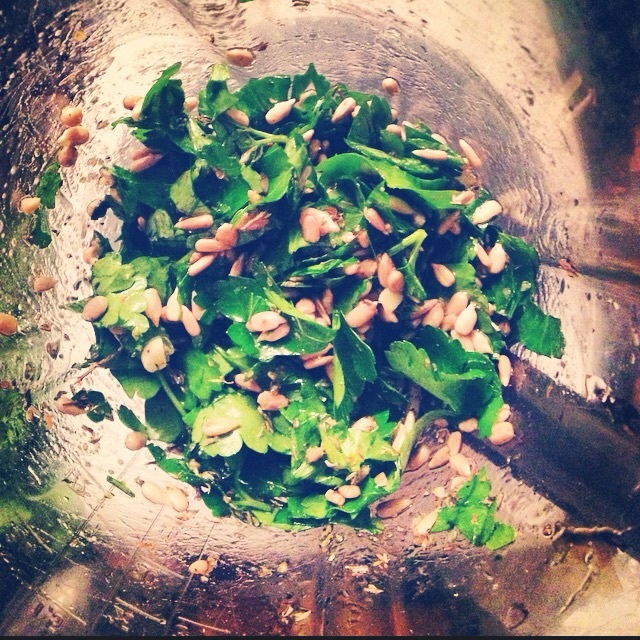 Pour in your food processor the parsley, the garlic finely chopped, oregano, thyme and the sunflower seeds. Add the olive oil and the lemon juice. Stir well with a spoon and blend until reaching the right consistency: a bit thick and granulated but well oiled. 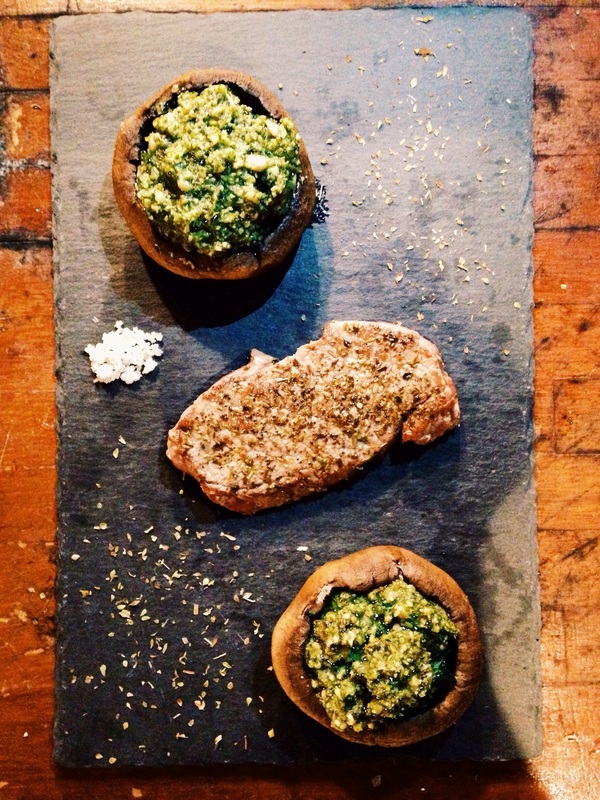 We do not want the pesto to be too smooth or liquid as it will not stand on the mushrooms. It should look like a paste. Pull stems from mushrooms to create space for stuffing. Spread some olive oil on top of the mushrooms, to avoid the caps to get dry once it the oven. Stuff them with a big scoop of pesto and put them in the oven for about 20 minutes. Meanwhile, drizzle some olive oil on each side on the beef filet, spread oregano, thyme, salt and pepper on each side as well and letting it soak the time the mushrooms cooked. Once the mushrooms almost ready, on a very warm pan, cook the filets for about 1 minute on each side (but once again, only if you like it rare, otherwise don't hesitate to cook it longer).